I woke up in the Conference House of the Australian Zoo and had myself breakfast with whatever the people from the zoo stuffed into the fridge. Orange juice, milk, bread, fresh fruit, ham, and etcetera. 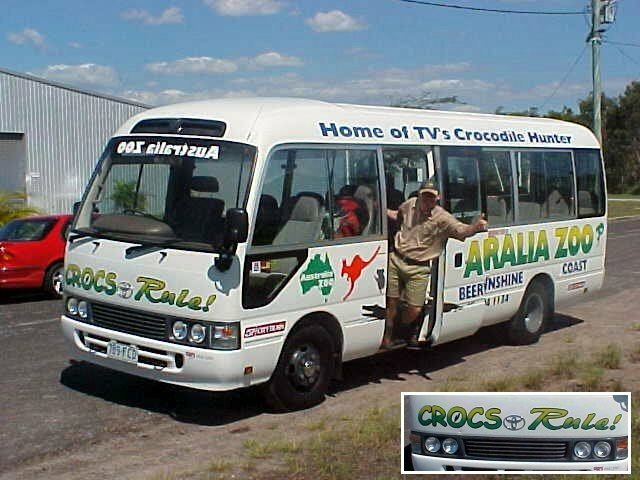 At 10.30 am Matt, the driver of the new courtesy bus from the Australian Zoo, rang the door, ready to bring me to my next stop. Matt was very intrigued by my lifestyle. In the van towards the Caloundra Airport he told me that he read about me in various newspapers and saw me on television. "Damn, you must be so famous!" I just hear that every day. Don't worry; I will keep my shoes on. As soon as I get to fly on fame too much, I know some friends from home will come over and kick my bud back to reality � where I belong. Haha. Matt dropped me off at the airport, at some deserted office building of a local flight club. At this spot I was going to meet up with Robert, who sent me an email in which he invited me to come along on a scenic flight above the area. And as I am never afraid of heights (except on top of that waterfall in South African Mpande), I took the offer and awaited him. What I didn't know is that Robert arrived by plane, while I just expected a car to turn up. "Let's go," he said and I stepped into this small little two-seater propellor airplane from Australian Air Flight Training and we got ready for take off. "What are those pedals for at my feet?" I asked him as I was looking for some leg space. "Just don't touch them," he said and I heard him grin through my headset. 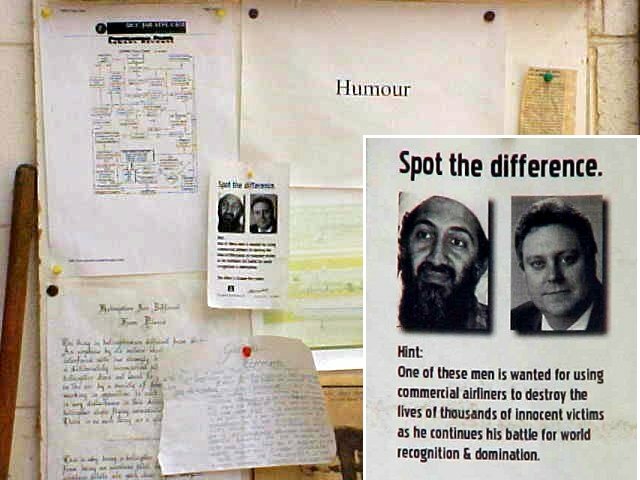 I asked him how he came up with inviting me on board of his plane. The plane itself is hired from Australian Air (just AUS$ 150 per hour) and "because I love flying. When I heard about you, I thought: let's go flying!" And there we went, gaining speed on the runway and heading up into the blue sky. Whooooo! We went up in the air and flew around at some 3 kilometres above the ground where I was exposed with the subtowns of Caloundra. I was just amazed with how easy Australians create their living space. Developers just tear down some nature area like forests, throw around some dirt and before you know there are roads! Just dot some houses around it and voila, we'll just give it a nice name, like Forestview Estate or something. Is it just my European background that this or what amazes me? We were just above the open waters of the Pacific Ocean, heading towards Moreton Island, just north of North Stradbroke Island, when Robert told me something that woke me up completely. "I am not feeling well, I am going back." What?!! One more time: this is a pilot flying an airplane at the moment and he tells me he's not feeling good? Oh my god. "Yes, I am fine, but I better head back." It took only another ten minutes when we landed back on the small landing strip of Caloundra Airport and taxied our way back to my departure spot. "I already couldn't eat this morning, my stomach is still a bit upset," Robert told me. However, I had a wonderful twenty minute flight in the sky above Caloundra and nobody can't take that away from me. I thanked Robert and got ready to meet my hosts for today. 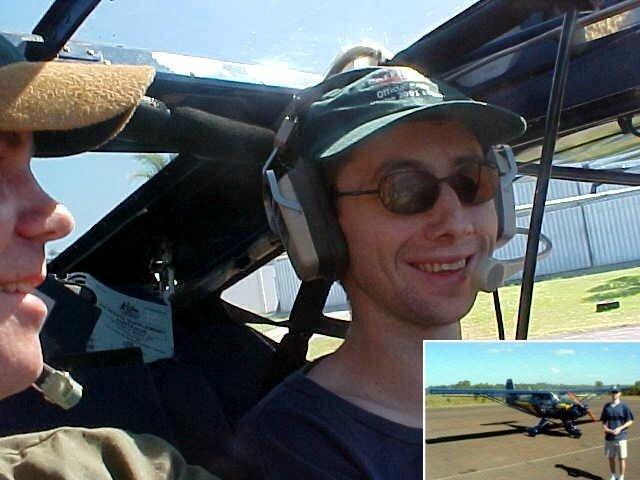 As the airplane was rented from the nearby Redcliffe Airport, Robert started its engines again and flew off. Lloyd and Donna Mills picked me up from the airport. They live in Caloundra and for them it was just an around-the-corner-thing. They invited me after seeing me on Channel 9 in March and they just loved my idea of travelling with the help of complete strangers. You know I met Lloyd yesterday, as he is the marketing manager of the themepark Aussieworld. They took me up to their comfy 1930's home in Moffat Beach, one of the many areas in Caloundra. I met their two very nice Golden Retriever dogs and Donna prepared me some lunch. They were as much amazed about my meeting with Steve Irwin as about my recent flight. "How do you all keep up with it?" Donna asked. "If I just get enough sleep, I'll be back the next day," I told her, which is my mostly my answer. 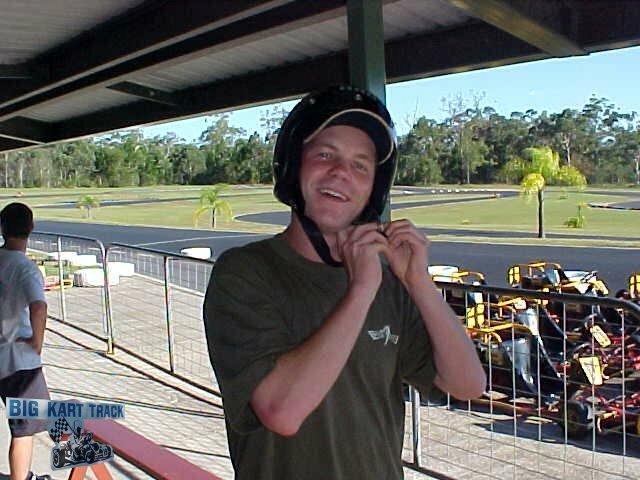 Lloyd had planned to go out for some kart-racing on The Big Kart racing tracks in Beerwah, just opposite of the zoo. 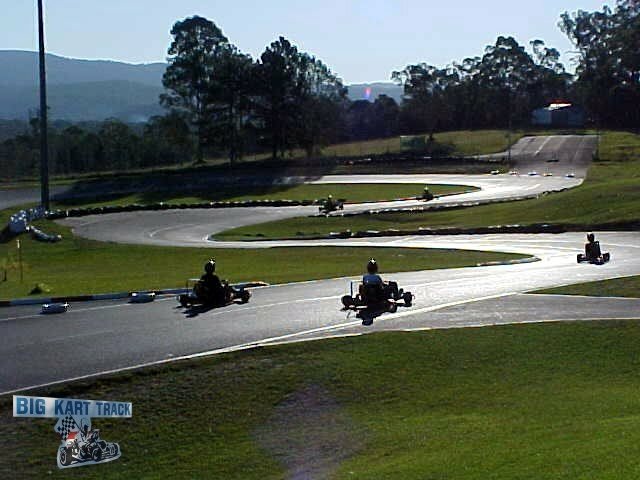 Out of the blue I was putting on another helmet today and we started racing this kart-track in these little great cars. That was real good fun and a very hard exercise for my muscles, which I'd never expect. Speeding around with 50km/hr I really had to stay focussed on the lanes and all the sharp corners and if I made one mistake, I ended up spinning around or biting some of the off-road dust � which of course happened to me a few times. Lloyd had booked us in for 30 minutes and it was really enough also. 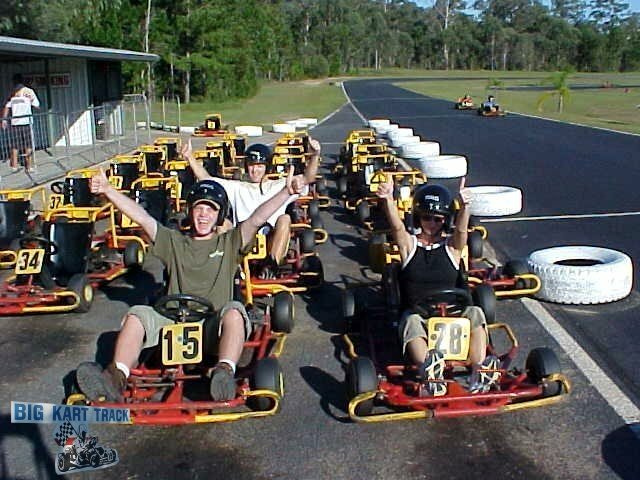 After lapping around we all crawled out the karts and stretched our legs. At that moment you realize how cramped you are during the driving. A full hour would have stuck me behind that steering wheel so the staff would have to icepick me out if it. And it was tiring. So much concentration and probably also quite a bit of adrenaline made us fall flat out on the beds, back at their home. Donna was gone within a few moments and I decided I could use a nap too. It was just after sunset when I returned to the livingroom where Lloyd was playing around with the remote control of the television. "Anybody hungry?" he asked to everybody in the house. I heard some moaning from their bedroom. "Let's go out and get something to eat," Lloyd suggested. It sounded good to me and barefoot I walked along with him through the deserted and dark streets of Moffat Beach to some food places. But everything was fully booked this evening and Lloyd didn't want to go for just some fish and chips. We walked back home again and got into their 4x4 and drove downtown where we ordered some Chinese take-away for dinner. While we waited on our order, Lloyd and I were having some good conversations on the street. Lloyd and Donna had both done some travelling on different parts of our globe themselves and Lloyd was very interested in the Dutch drugs policies. "But is it true you can just go into any bar and buy marihuana?" I had to explain him that we have this phenomenon of coffeeshops (where in Holland you can't get coffee!) where it is legal to sell all sorts of wheeds and marihuana to smoke. You are allowed to buy it and smoke it, exept in public places, so you can't smoke it inside of a bar/pub. He was pretty amazed by that. Of course, and I have written about this before, the Dutch are very much used of this strategy. Because of the drugs being legal, there is no secrecy about it � no experimenting behind the sheds, in other words. And at school we get some great education about what alcohol, smoking and drugs do to you � so you really know what it means and what it does to your body if you use some. I think this open-mindness teaches us that we can use it, but not overuse it. It's more a social thing to smoke some drugs and don't believe everybody smokes it all day every day. Back at their home we scrunched away in our excellent Chinese food and tried to understand the the lack of ration used in the TV-movie George of the Jungle? What is so funny about a talking gorilla and a barking tree-fetching elephant? -- I had not smoked anything! Maybe my head was still in the sky somehow, thinking about Robert. I hope he's doing much better now!